Did you wait until the last minute? Again? MaMa says that's not a smart idea. 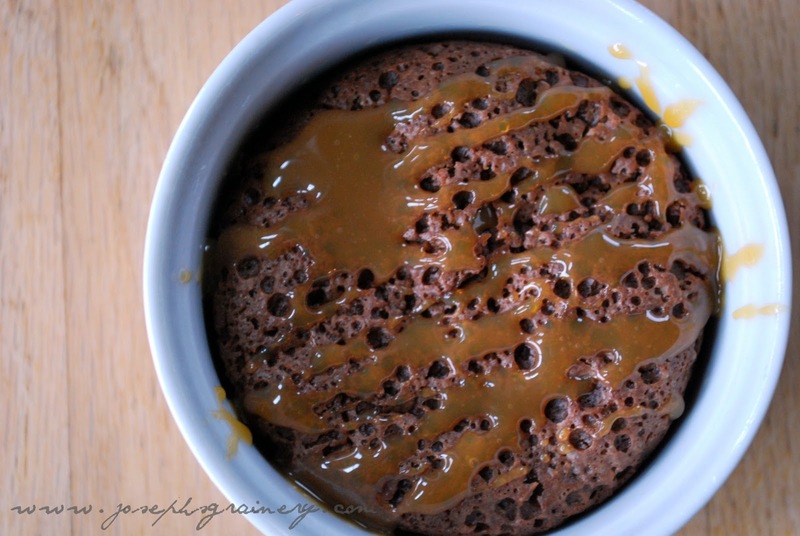 ;) So she came up with a quick and easy fix for you...Whole Wheat Molten Chocolate Cake with Salted Caramel Sauce! Just save yourself about 30 minutes before you need to have your heavenly tasting surprise ready. Directions: Preheat your oven to 400 degrees. Prep 4 small baking dishes, like ramkins, by spraying with cooking spray. Melt together the chocolate and butter over medium heat in a saucepan until the mixture is nice and smooth. In a medium bowl, whisk together the eggs, vanilla, sugar and salt. Whisk in the chocolate mixture and then add the flours. Pour the batter into each of the dishes. Bake at 400 degrees for approximately 20 minutes. While the cakes are baking, mix 1/2 tsp of sea salt into 1/4 c of caramel sauce (we just used store bought to keep things simple and quick). 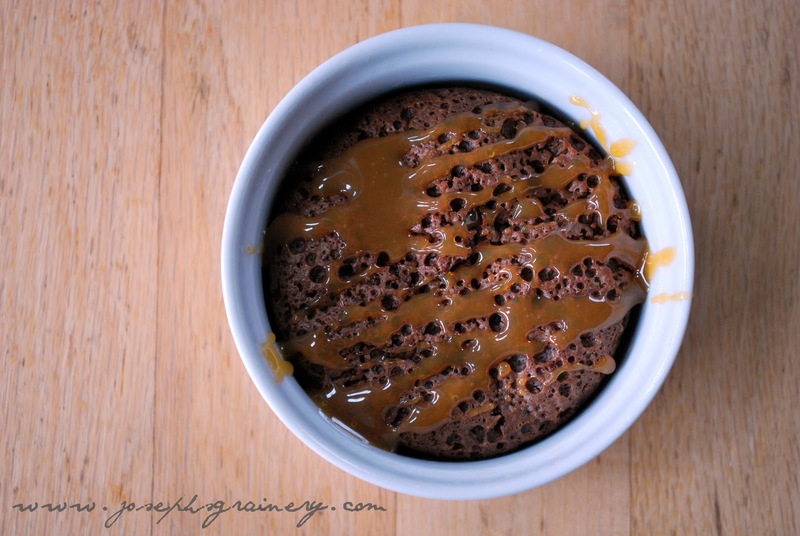 When the cakes come out of the oven drizzle the Salted Caramel Sauce over each Molten Cake and serve! MaMa says your special someone will melt just like the chocolate when they taste this wonder. She's right, I keep asking for chocolate cake...maybe she'll make it again today, since it is Valentine's Day and all. The Molten Chocolate Cake is melt in your mouth good, while the Salted Caramel Sauce gives it a savory twist. 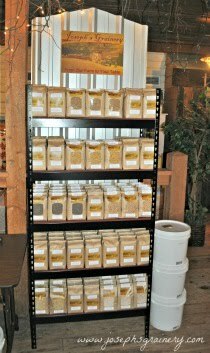 Happy Valentine's Day from all of us at Joseph's Grainery!